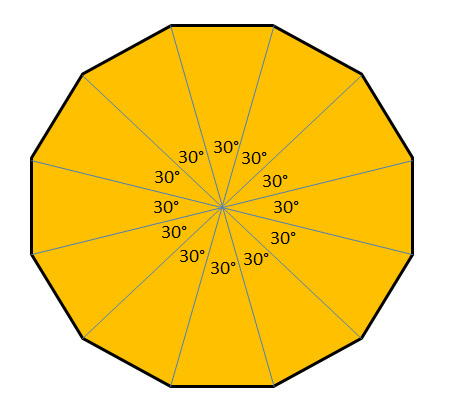 In order to calculate that angle you divide 360 by the number of sides you want on your polygon. 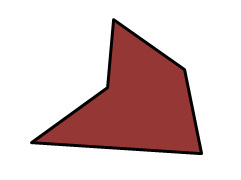 On all regular polygons this angle is also the Exterior angle. 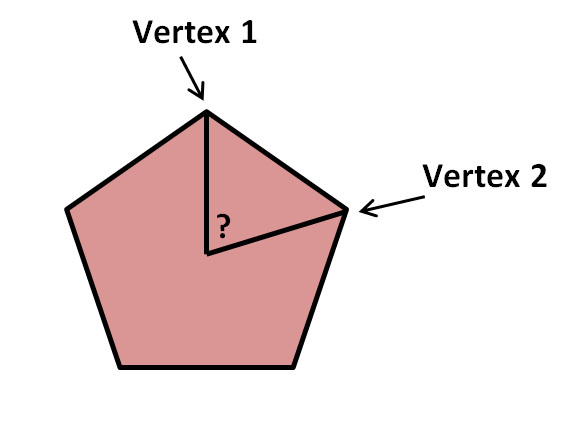 If you extend one of the sides through a vertex, then an exterior angle is formed as show below. 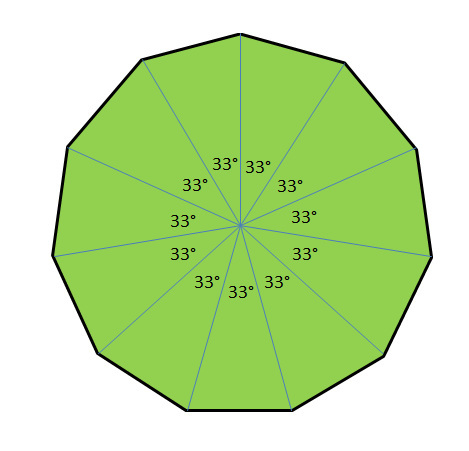 This is also very useful in constructing polygons. Equilateral Triangle - An equilateral triangle is the only triangle that can be classed as a regular polygon because it 3 sides of equal length and 3 angles of equal measure. Square - A square is the only quadrilateral that can be classed as a regular polygon because its 4 sides are equal in length and the 4 angles are equal in measure. 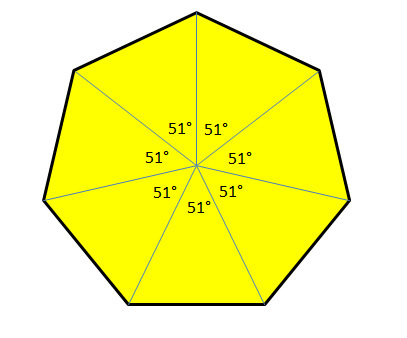 Pentagon - Is a 5 sided Polygon. 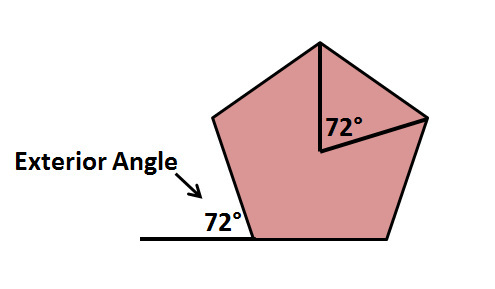 The angle required to draw a pentagon is 72°. 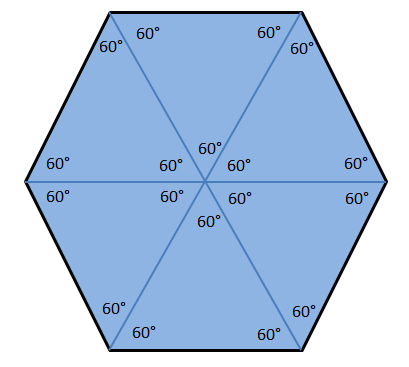 You can also see that a hexagon is made up of 6 equilateral traingles. 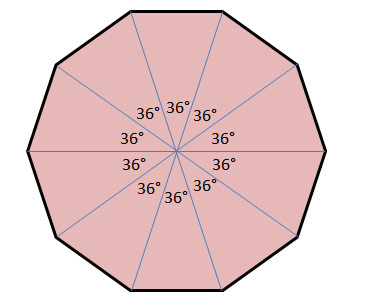 Nonagon - Is a 9 sided polygon. 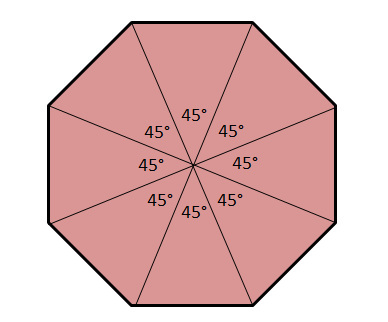 The angle required to draw a Nonagon is 40°. 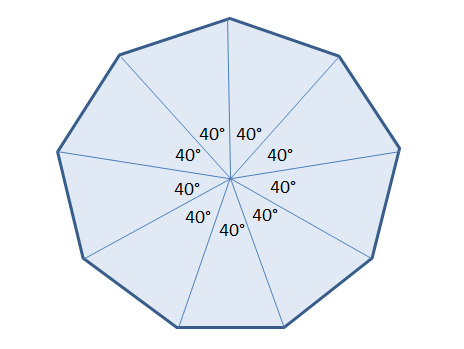 An irregular polygon is any polygon that has differing side lengths and angles of differing measure to all the polygons listed above. 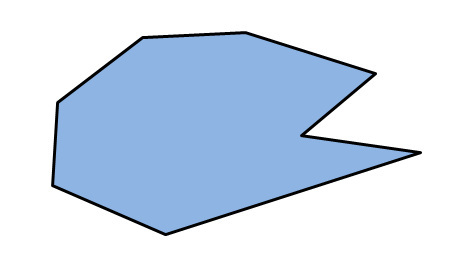 Shown below is a couple of examples of irregular polygons.